Vacuum Pump oil is manufactured by just about 6 or 7 manufacturers in the entire world; each claiming that its products are the best. Adding to the confusion, equipment manufacturers having tie-ups with Vacuum pump oil manufacturers ‘recommend’ a specific Vacuum pump oil only. This ‘recommended’ oil is invariably very costly and cuts into the already thin margins of Vacuum users. Question is – Is there really no alternative to the expensive ‘recommended’ vacuum pump oil? Is there a way in which the pump user can know – transparently and with confidence – exactly what he is buying? 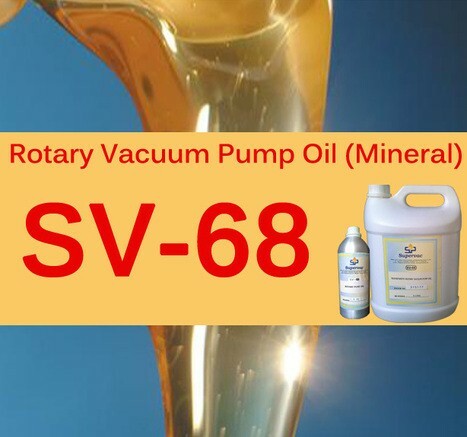 We have been approached by many high vacuum users asking us to elaborate on important properties of Vacuum pump oil so that they can use an appropriate oil that does not punch a hole in their pocket and at the same time works perfectly for their costly equipment. (1) Vapor Pressure – Regardless of its other qualities, a vacuum pump oil is of no use if its vapor pressure is so high that it contaminates the working region of the vacuum chamber. 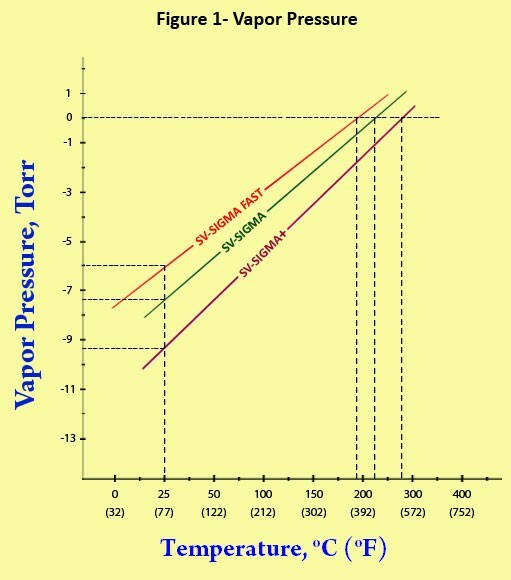 A minimum vapor pressure is necessary. A vacuum pump oil with a really low vapor pressure will (a) improve performance (b) simplify trapping and (c) reduce contamination. The best vacuum pump oil will have a vapor pressure less than 0.1 Pa (l0-3 Torr) at its operating pressure. Lower the Vapor Pressure Better the Vacuum pump oil. (2) Lubricating Ability – Two types of vacuum pump oil provide lubrication. They are – Rotary Vacuum Pump Oil and Roots Blower vacuum pump oil. This ability of the oil prevents inner wear and tear of the pump and increases the pump life. So a very important property of Vacuum Pump Oil is lubricating ability. Synthetic oils typically have 11% more lubricating ability compared to mineral Vacuum oils. Though not important for diffusion pump oil, a good lubricating ability is vital for Rotary and Booster pump oils. (3) Color – Color is not directly related to vacuum properties, but it does aid in identification of fluid categories. The color of hydrocarbon pump oil will vary from clear to medium yellow and is characterized by a standard such as the Saybolt color index. Naphthenes are darker than paraffins. Pure straight chain paraffins and most synthetics are transparent, but additives or dyes will cloud or color any fluid. Transparent Vacuum oils are better. (4) Pour Point – The pour point is the lowest temperature at which a fluid will flo w. Below this temperature, it will freeze. The viscosity at the pour point is of order 105-106 mm2/s. Please check the minimum temperature of your area. The pour point of your vacuum pump oil should be better than that to avoid oil freezing. For example, if minimum temperature in your area is 0 degree centigrade, pour point of the vacuum pump oil should be at least (-5) degree centigrade. 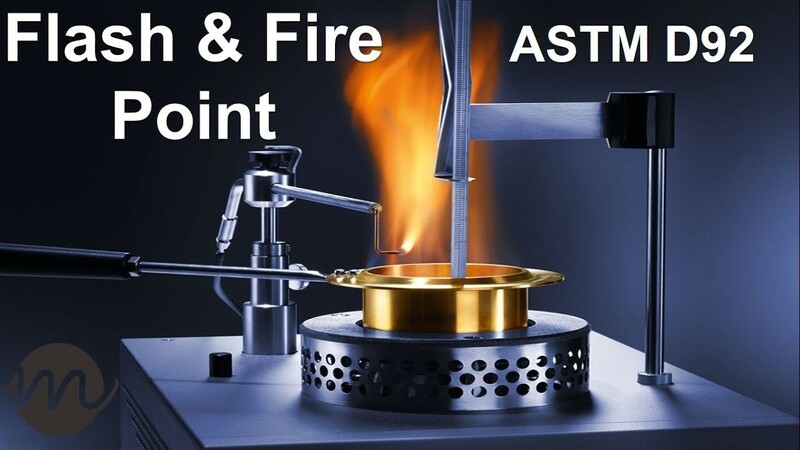 (5) Flash and Fire Points – Flash and fire points are, respectively, the temperatures at which an oil will burn momentarily and continuously in the presence of a flame. The auto ignition temperature is the temperature at which the fluid will ignite spontaneously. Higher the flash and fire points, better the oil. In no case, the working temperature should exceed fire or flash point for safety reasons. (6) Gas Solubility – Under operating conditions, vacuum pump oil is likely to absorb some amount of process gases. This is precisely the reason why, in certain processes, vacuum pump oil is required to be changed more frequently. For this reason, a good vacuum pump oil will be designed by its manufacturer with better qualities in order to withstand these process gases. Dissolution of gas in vacuum pump oil, changes its viscosity. Synthetic oils are more resistant to gas solubility. Lower the gas solubility better the Vacuum pump oil. 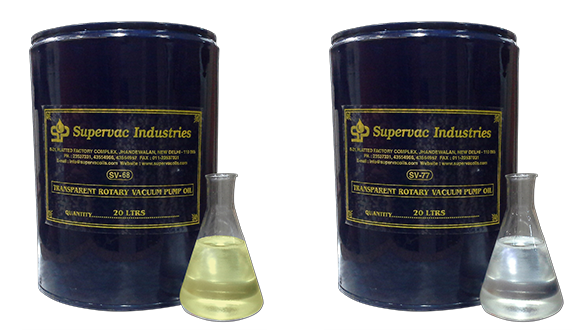 Also, in case you are frequently changing the vacuum pump oil or processing corrosive / reactive substances, then stick with synthetic vacuum pump oil. 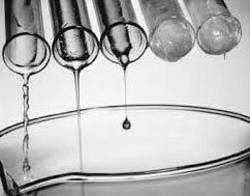 (7) Viscosity – Viscosity is resistance of a fluid to movement. Simply put, viscosity denotes opposition to flow. The reciprocal of the viscosity is called the fluidity, a measure of the ease of flow. 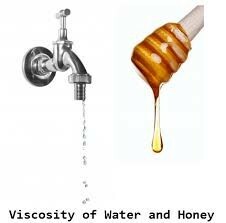 Honey, for example, has a greater viscosity than water. 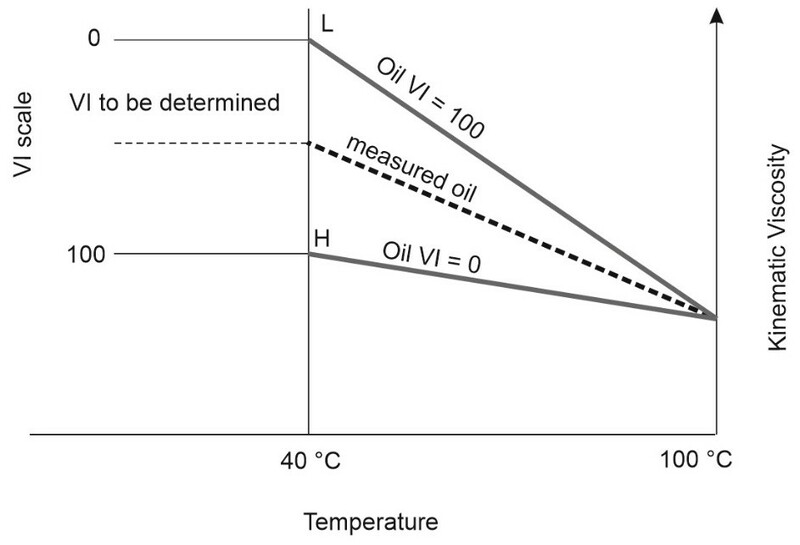 If viscosity is too high, oil would not lubricate and if it is too low then oil would not be able to seal. 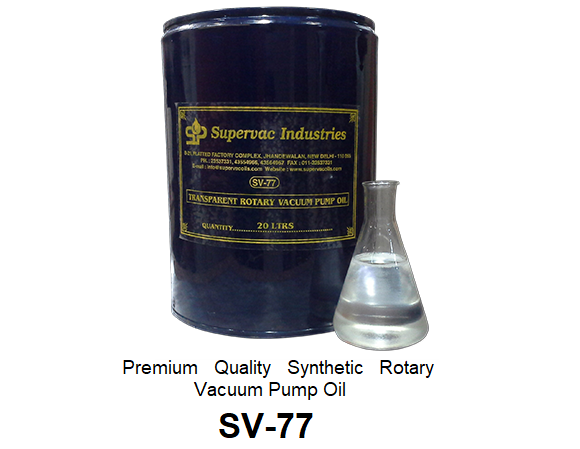 Normal viscosity for vacuum pump oil is 68 to 77 cst at 40°C. 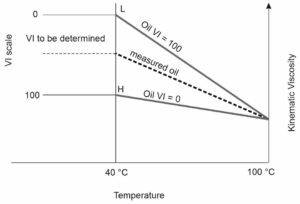 (8) Viscosity Index – The viscosity index (VI) is unitless measure of the change of viscosity with temperature; mostly used to characterize the viscosity-temperature behavior of vacuum pump oil. The lower the VI, the more the viscosity is affected by changes in temperature. Conclusion – We hope that after knowing about these parameters you should be able to select the right vacuum pump oil for your machine. 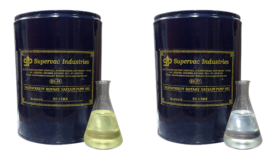 For the convenience of Vacuum users we have also written a blog post Vacuum Oil Equivalents (https://www.supervacoils.com/vacuum-oil-equivalents/) which indicates equivalent vacuum pump oils having same properties but lower in cost.